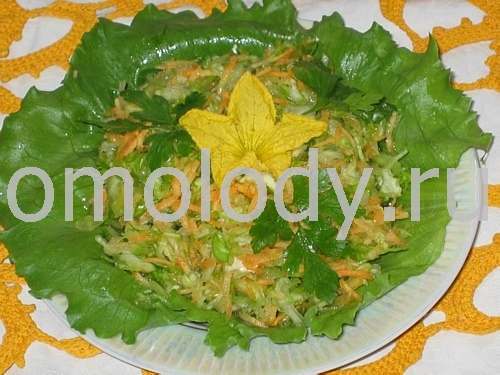 Cabbage salad with cucumber. Recipes from Russia. 2. Rub the strips with your hands to make them softer and juicier. Add carrot, olive oil and cucumber. Stir thoroughly. 3. Serve on lettuce leaves. Decorate with Parsley and cucumber flower.